Connolly is the station for services on the east coast of Ireland, as far north as Belfast and south to Rosslare, it is also the terminus of Sligo trains. 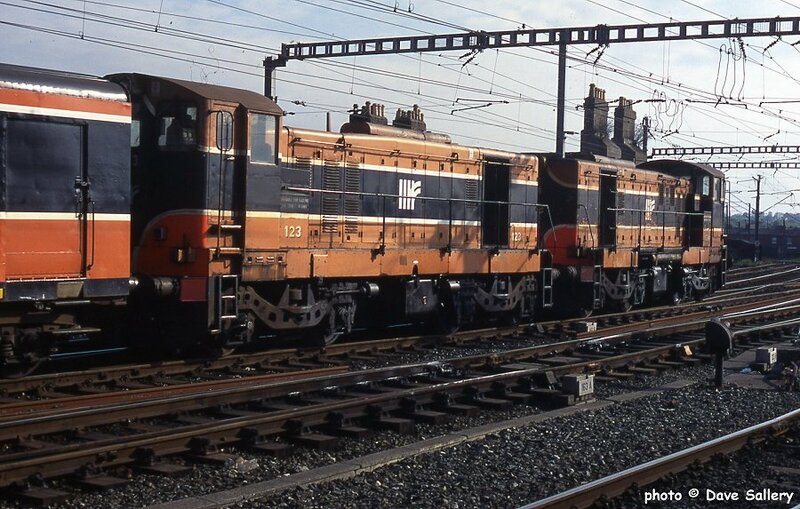 Connolly is also on the DART electrified route between Malahide/Howth and Bray/Greystones. A more recent addition is as a terminus for the LUAS tram network. 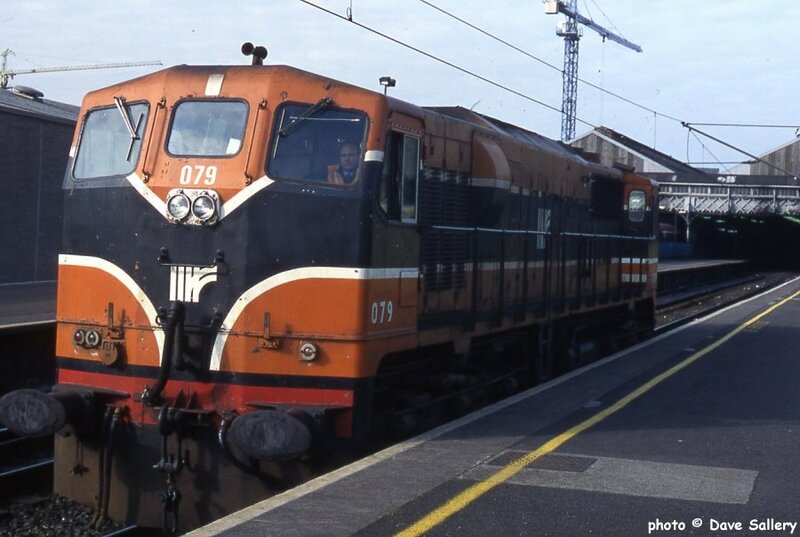 079 in the terminus side of Connolly, 18 May 1994. 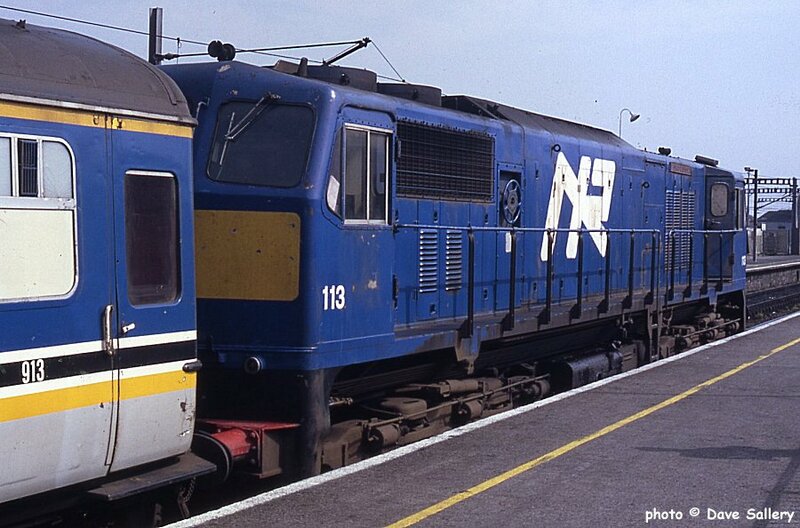 153 has arrived on a service from Rosslare, 1 October 1991. 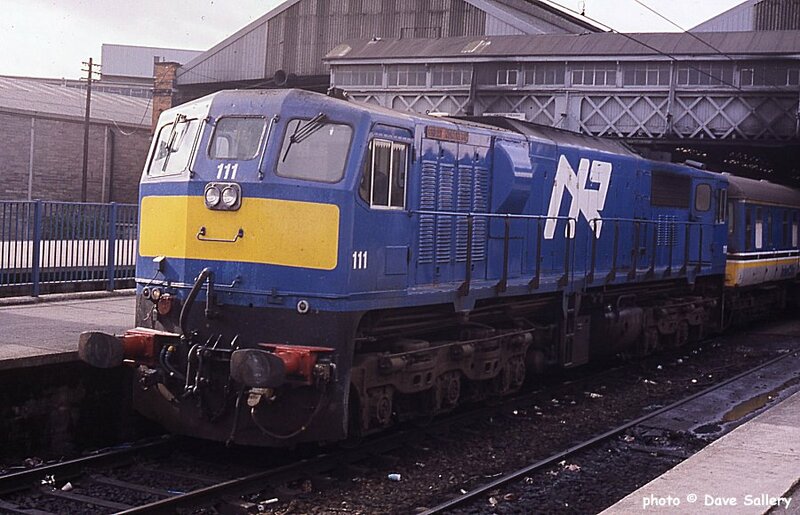 Northern Ireland owned 111 on an Enterprise service to Belfast, 1 October 1991. 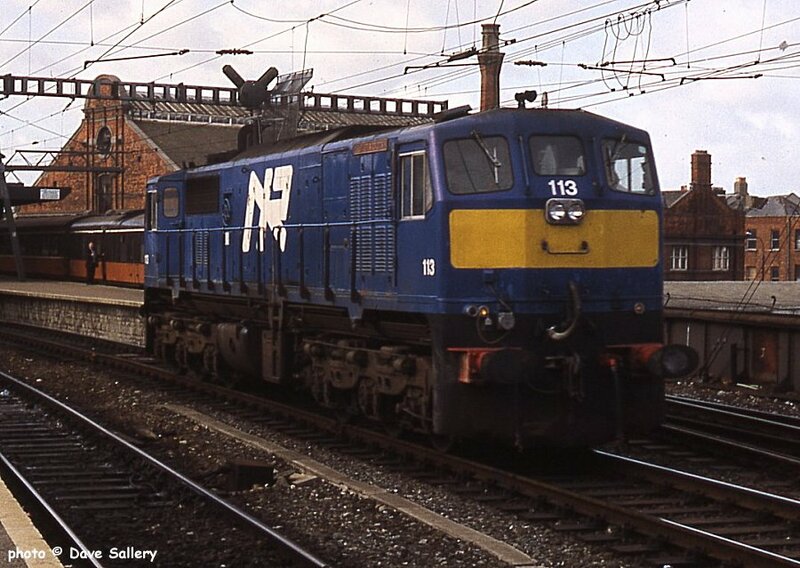 113 runs light through Connolly, 1 October 1991. 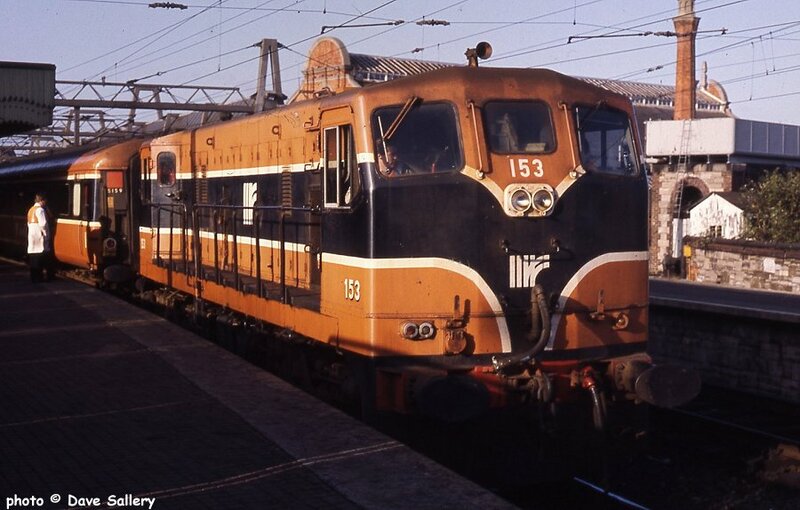 123 and 124 on a passenger working, 18 May 1996. The heater van is behind the locos. All passenger trains except those worked by the 201 class had to have one of these.